That was the true Light, which lighteth every man that cometh into the world. 10 He was in the world, and the world was made by him, and the world knew him not. 11 He came unto his own, and his own received him not. 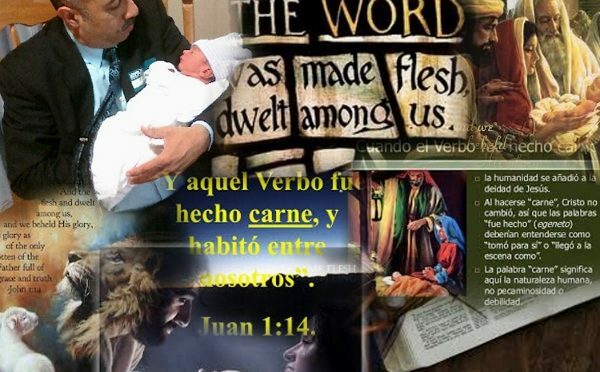 12 But as many as received him, to them gave he power to become the sons of God, even to them that believe on his name: 13 Which were born, not of blood, nor of the will of the flesh, nor of the will of man, but of God. 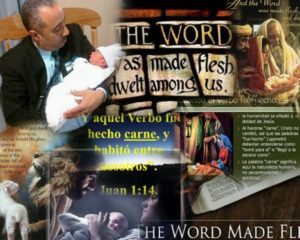 14 And the Word was made flesh, and dwelt among us, (and we beheld his glory, the glory as of the only begotten of the Father,) full of grace and truth. 15 John bare witness of him, and cried, saying, This was he of whom I spake, He that cometh after me is preferred before me: for he was before me. 16 And of his fulness have all we received, and grace for grace. 17 For the law was given by Moses, but grace and truth came by Jesus Christ. 18 No man hath seen God at any time; the only begotten Son, which is in the bosom of the Father, he hath declared him.